An Antiseptic Cream that prevents dryness and protects the skin from cuts, burns, scratches, nappy rashes, insect bites and itchiness.It has new Active Herbals formula that gives your skin clinically healthy protection and active cure. Say goodbye to varied skin problems and let your skin smile with active health. Composition : Silver Sulphadiazine Cr. 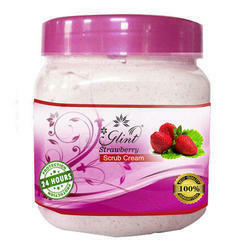 We are passionately engaged in providing optimum quality gamut of Antiseptic Cream. The Damage REPAIR at the CELL LEVEL Replenishes lost nutrients & moisture. 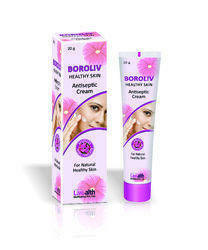 Potent antiseptic cream with astringent action. Contains anti microbial herbs like Sal (Shorea Robusta), Neem (Azadirachta Indica), Bhindur (Ficus Infectoria), Karanj (Pongamia Pinnata). Offers quick healing in all types of wounds, cuts, bruises & burns.